A single room is between 13 and 15 square meters, with one 90x200cm bed, desk, chair, armchair, luggage stand, cupboard. In the room you will find TV, fridge, telephone, kettle, hair dryer, towels, soap and shower gel. 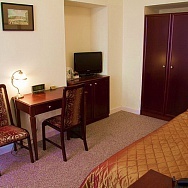 A twin room is sized 25 to 30 square meters, with two 90X200cm beds, desk, chair, 2 armchairs, luggage stand, cupboard. In the room you will find TV, fridge, telephone, kettle, hair dryer, towels, soap and shower gel. 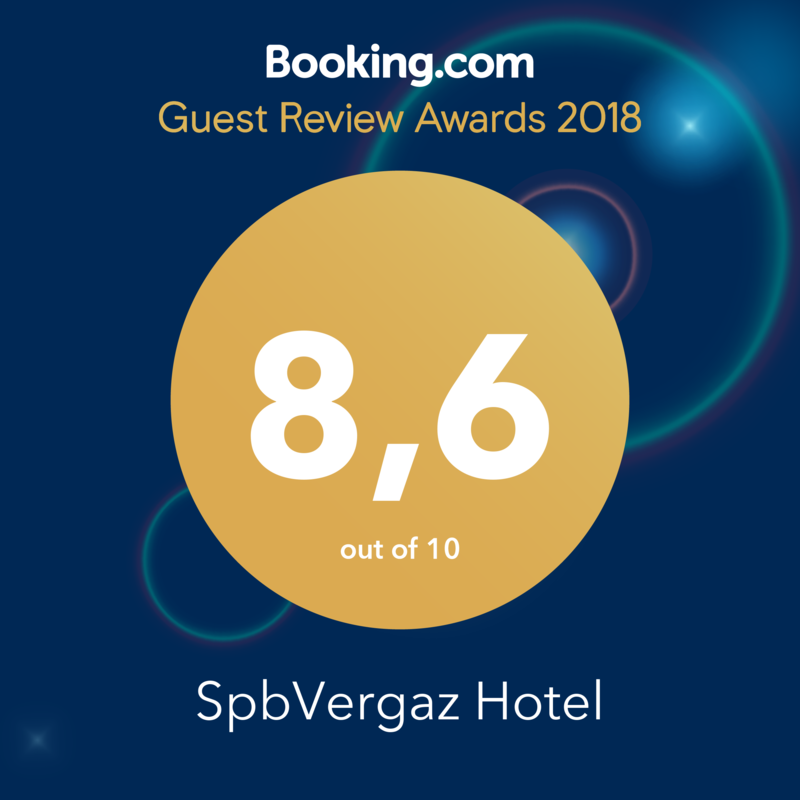 Junior suite, sized 25-32 square meters, includes one 160x200cm double bed, desk, 2 armchairs, luggage stand, cupboard, TV, fridge, telephone, kettle, pair of slippers, bathrobes, hair dryer, towels, soap and shower gel. 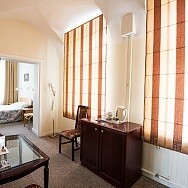 The Suite is made up of 2 rooms: living room and bedroom, sized 42 square meters. 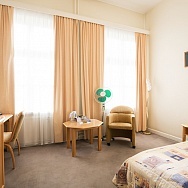 In The Suite is one double bed (160x200), desk, sofa, 2 armchairs, luggage stand, cupboard, dressing table, TV, fridge, telephone, kettle, pair of slippers, bathrobes, hair dryer, towels, soap and shower gel.